Windy with a few clouds from time to time. High 82F. Winds S at 20 to 30 mph. 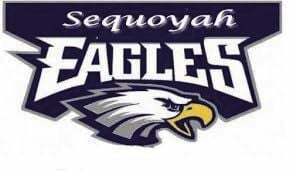 Higher wind gusts possible..
Sequoyah sent three blooper hits into shallow territory, producing a 5-0 lead, then slammed two home runs in the fourth, creating an 11-0 victory over Catoosa on Friday. The five inning run-ruled game gives the Eagles a 7-12 overall mark, including 4-4 in District 4A-7. Leadoff hitter Brycen McCoy went 3-for-3 at the plate with a solo home run over center field in the fourth. Center fielder Hayden Clark and left fielder Mattrick Matussak each added two hits with Matussak exploding a two-run homer, also in the bottom of the fourth, to make it 11-0. The blow accounted for Matussak’s third and fourth run batted in. Sophomore pitcher Trey Burks threw all five innings for the Eagles, surrendering two hits on seven strikeouts and one walk. The Eagles pushed across three runs in the first inning with McCoy scoring on a base loaded walk. Two hitters later, sophomore Grayson Foster floated a ball into shallow right field that could not be caught, scoring both Clark and Matussak. Four runs were added in the second thanks to four hits and a Catoosa error. Burks lofted another ball into shallow right where Hayden Keeter executed a dramatic attempt to field it. The ball popped in and out of his glove, allowing McCoy and first baseman Blake Bedsworth to score for a 5-0 lead. Clark singled later in the second, driving home Burks, and Clark raced to third when the outfielder let the ball get past him. Matussak then stepped to the plate and knocked in Clark on a base hit to center field. The Eagles closed out the victory with the two homer in fourth inning. McCoy’s shot made it 8-0 and Burks’ fly to left was dropped for the Indians’ second error. Burks continued to second and scored when Clark singled. Matussak ripped his two-run job over right field and Sequoyah was home free. Catoosa (2-13) finished with six baserunners as cleanup hitter Matt Thompson and Keeter finished with the Indians’ only hits.